Downtown Wichita is a great place to live. You don’t need to travel out of your neighborhood for the best dining, entertainment and shopping in the city. You can walk, ride your bike, hop on the Q-Line Trolley or take Wichita Transit. Old Town has it all, as well as offering the best nightlife in the city. 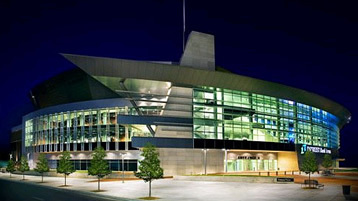 The INTRUST Bank Arena, home of the largest live music and sporting events around, is just up the street. So come join us, see what this town has to offer! INTRUST Bank Arena - just down the street! Cabaret Old Town Mosley Street Melodrama Music Theatre of Wichita Inc. Orpheum Theatre Warren Old Town Theatre Wichita Century II Wichita Symphony Society Inc.